Is it possible to personalize the gift of an e-book? I asked Arsen Kashkashian, head buyer at the Boulder Book Store, if he had any ideas, and he was as stumped as I am. "I'm not sure what the best way to personalize an e-book would be," he said. usually the same price as e-books available for Kindle, and can be used on multiple platforms. But you can't use a store gift certificate to purchase them because buying the e-book is a transaction with Google, and Google doesn't accept indie bookstore gift cards. Currently, there isn't a way to give an e-book as a gift from most independent bookstores. It is possible to give a Kindle e-book as a present from Amazon. According to Amazon's FAQ on the subject, you don't need to own a Kindle to give someone a Kindle e-book gift: "Kindle books can be given and received by anyone with an e-mail address." You can schedule the date the e-book gift is delivered to the recipient, and if the recipient isn't happy with your selection, he or she can exchange it for another. "Even if people have e-readers, they want to give a physical book, because it's so impersonal giving e-books." As for Barnes & Noble's Nook books, you can't give someone a specific Nook book, but you cangive them a Barnes & Noble gift card to purchase Nook books, or you can lend a Nook book from one reader to another. Although you can give a friend specific songs from iTunes, that isn't possible yet for iBooks -- the only way to give an iBook is through an iTunes gift card or certificate. It's all a little confusing, because each type of e-book and e-reader has its own rules. Last month, Open Road Media launched a website with instructions on how to give e-books from Apple, Amazon, Barnes & Noble, Kobo and the Sony Reader Store. Still, these digital transactions via email feel a little chilly to me. One year I gave someone a subscription to Netflix, and almost a year later I received an email that said the person never used the credit that was about to expire, which made me feel like I had never given them a gift at all. I spoke with Cathy Langer, lead buyer at the Tattered Cover, who said, "I contend that even if people have e-readers, they want to give a physical book, because it's so impersonal giving e-books. And this was actually proven with several customers I've helped." I told her that I am leaning toward giving actual books to friends and family that have e-readers, and she said that my thoughts on this subject are typical. "I've been predicting almost since last Christmas that I'm not afraid of the holiday season. People ordering off of Amazon has cut into our business to some extent, no matter what. But even though people are getting e-readers for Christmas and Hanukkah, when someone wants to give a gift of a book, they want to give the gift of a physical book. Even though there are e-readers in millions of households, the gift-giving vehicle is still the physical book." Langer gave some examples of how this dynamic has played out among customers at the Tattered Cover that she's helped. "I had a customer who wanted two copies of 'Ready Player One' [by Ernest Cline], which is a futuristic, hip novel from Random House that was big this fall. He said, 'I read it on my Kindle, and I loved it, so I want to give it as gifts.'" It's almost as if the e-book has become the lower-priced preview mechanism for readers who might then go onto buy the physical book for themselves or others. And for kids, although there are some wonderful interactive e-book programs, printed books still are the rule. Langer said, "A couple days ago, there was a little girl -- maybe 5 years old -- traipsing through the store with her grandfather, and they were talking about a book. He said, 'Well, we can get that for you on your Kindle,' and she said, 'No, Grandpa, I want a real book.'" Langer said, "Giving books as gifts is a very strong, personal statement. It's an object of love and affection and real meaning. It's an object rather than just a commodity of words." 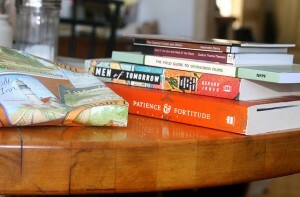 I agree -- for this year, I'm sticking with printed books for gifts. In future years, who knows? But as long as no one invents digital beer, there will always be some presents under the Christmas tree. Jenny Shank is the is the author of the novel "The Ringer" (The Permanent Press, 2011), a finalist for the Reading the West Book Awards.